The Digital Place Based Advertising Association announced that Allure and its Christie Experiential Network have joined its association. "Christie is leading the industry with a range of spectacular digital displays that really grab consumers' attention, making content and messaging even more impactful," said Barry Frey, president & CEO, DPAA. "We welcome the Christie Experiential Network to our membership ranks and look forward to helping them build lasting relationships." "Barry and his team at DPAA are doing great work in advancing the profile and status of the digital place-based media industry," said Kevin Romano, EVP of Global Media for CEN. "We are proud to become part of this association as we advance the industry to new heights together." Membership in DPAA encompasses numerous benefits, including admission to quarterly "mini summit" meetings with ad industry and DPB leaders; access to an extensive database of research, best practices and case studies; tools for planning, training and forecasting; social media amplification as well as publication discounts. 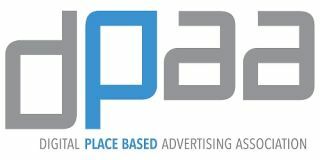 Additionally, there are opportunities to participate in media partnerships as well as the DPAA-Nielsen Service Bureau and DPAA-Nielsen Digital Diploma Series Training Program; insights on software and hardware solutions; further integration into the advertising ecosystem as part of the video everywhere conversation and marketing campaign, and more.